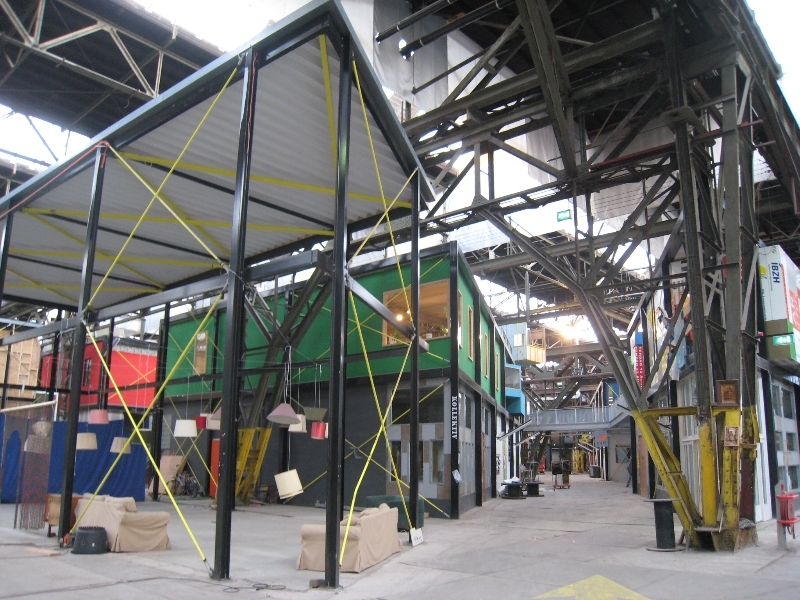 Project summary: The site is what was until the late 1980s Amsterdam’s main docks. As the docks became derelict it became occupied (illegally) by artists and creatives. In 1999 the site was opened up to a competition to propose development on it by the Council. 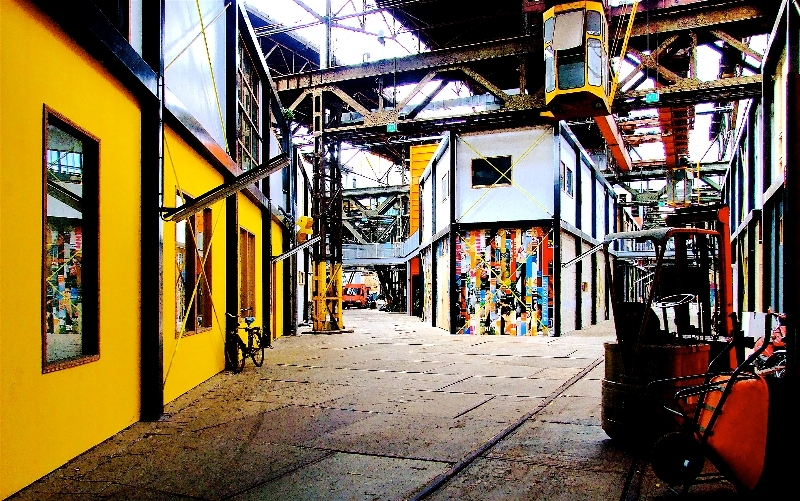 The winner of this competition was a collective called Kinetisch Noord (Kinetic North) who sought to work with the illegal temporary programmes that had filled the gap to develop a flexible master-plan for the area. 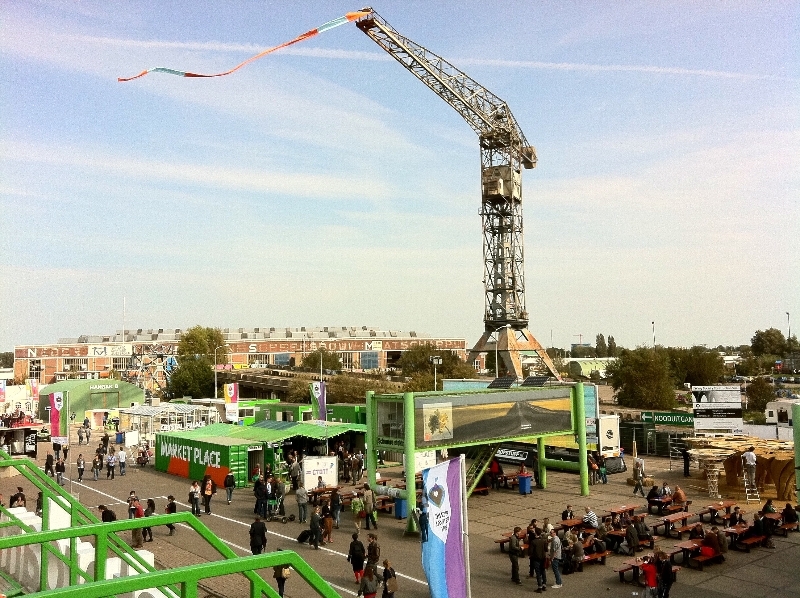 Location: Northern IJ embankment, Amsterdam Programme: Widely varied but with a cultural and artistic core including: Skate park, café, flea markets and other events. Initiator: City of Amsterdam Project Duration: 13 yrs, subsequently ext. to 25 yrs Lead in Time: 12 months Site Area: 270,000m2 Client Team: City of Amsterdam Project Team: Kinetic North Board of 7 members, A “service desk” organisation between the board and “The Society” which consisted of all the tenants who are responsible for their own building works. Funding Sources: City of Amsterdam £8.5, Loans £4.2m, User Funding £8.5m Project Costs: Unknown - varies by tenant Profitability/Loss: Loss making. The project is still subsidised by the Council. The project has found that vacant buildings are much easier to fill than vacant space. Permissions / Permits: Support of the public authority enabled the creative subversion of its own strict policies on land use and zoning (e.g. Housing is ‘temporary’ bypassing zoning restrictions) Local Links: The scale of the project is so large that it is a community in its own right, supporting over 250 jobs. Publicity/advertising: Council lobbied for a passenger ferry across the Ij river to attract people from Amsterdam.